View When developer must become designer on Notist. As a developer with limited resources, experience, and time, how can you embrace your inner UX designer? What is UX and why should you care? Is there really a difference between UX and UI? Which design tools should you use? 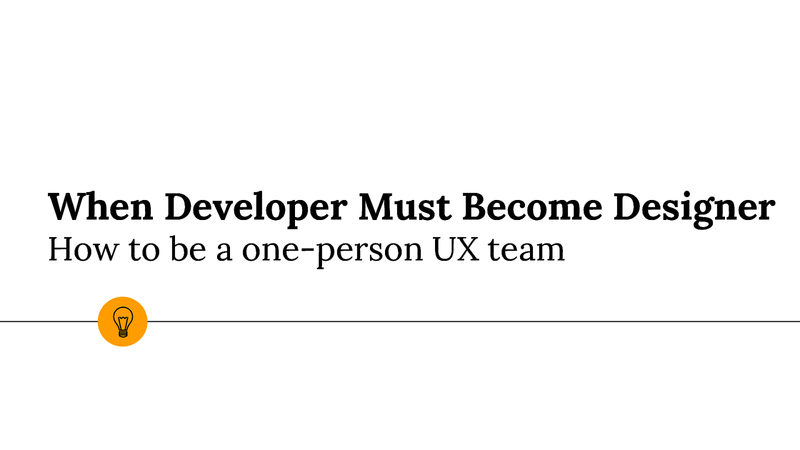 In this session I’ll provide you a UX checklist to take you from developer to designer/developer.